Apple has been rumored to release a 12-inch MacBook Air for a long time now; last April, KGI analyst Ming-Chi Kuo predicted that the company would release an "all new," "ultra slim" 12 inch MacBook Air with a new fan-less design sporting a "click-less" trackpad as well as fewer physical inputs and outputs. That prediction was made alongside a series of other largely correct predictions of Apple's roadmap, including the release of new 4.7- and 5.5-inch iPhones; two sizes of a new Apple Watch; an iPad Air and iPad mini update; and a lower cost iMac refresh. 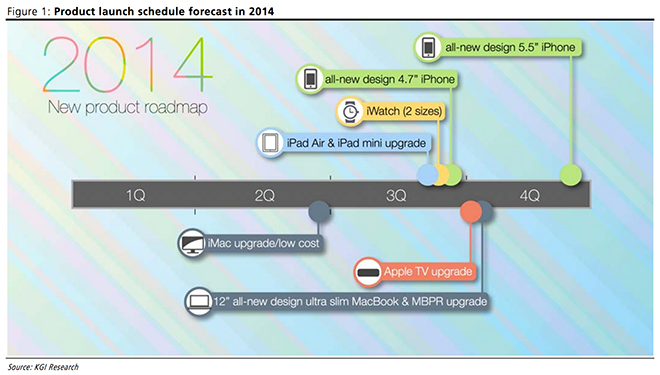 However, the 12 inch MacBook Air didn't materialize as predicted last fall. By June, the rumor had been pushed back to "early 2015," ostensibly due to chip delays from Intel. Apple's 2014 still had some other surprises that weren't predicted by KGI; an Apple TV upgrade didn't appear, while the firm's roadmap also missed Apple's 5K Retina Display iMac, which was announced last fall and immediately became available for sale. In December, rumors from DigiTimes described for a new MacBook Air with Retina Display to arrive in the first calendar quarter of 2015. Will MacBook Air lose MagSafe & Thunderbolt? So little real news floated at CES this week that the entire trade show was overwhelmed by the release of a freshened up version of the KGI report, by 9to5Mac. Citing details from "sources within Apple, who have used internal prototype versions of the upcoming computer," the bundle of rumors were depicted in an artist's conceptual renderings. The report embellished KGI's expectations for the new MacBook Air with predictions of much slimmer margins around the keyboard (more like Apple's former mini-laptop, the 12-inch PowerBook), with keys spaced closer together and the removal of the current MacBook Air'sSD Card slot, dual USB ports, MagSafe power connector and Thunderbolt (which serves as both DisplayPort and a rapid, external PCIe data bus for connecting a chain of hard drives or other peripherals), all replaced by a single USB 3.1 Type-C connector, which was first detailed back in September. The rumors prompted lots of controversy about whether Apple would actually ship a new notebook without MagSafe, which serves as both a useful feature that prevents cord-tripping accidents, as well as a lucrative patent-protected licensing business for Apple, one that has effectively erased any market for third party MacBook power adapters. The idea of Apple removing Thunderbolt also raised eyebrows, as Apple and Intel have worked hard to bring the standard to market and develop adoption for it over the past four years. Thunderbolt first appeared on MacBook Pros in February 2011, and spread to the MacBook Air that summer. 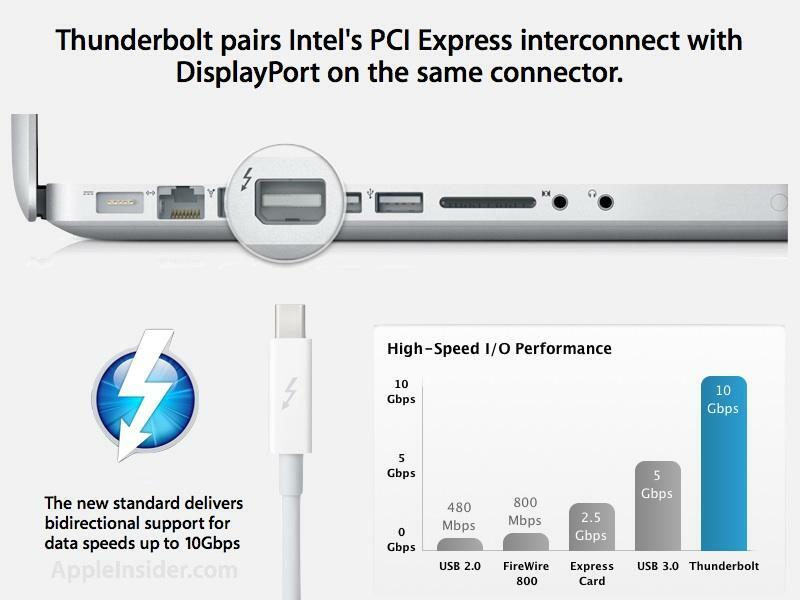 Thunderbolt essentially embellished DisplayPort--which Apple began adding to its notebooks staring in 2008--with the rapid data throughput features and host-to-host connectivity of Firewire, all features missing from USB 2.0. The removal of both MagSafe charging and Thunderbolt initially might seem unlikely moves for an Apple notebook, particularly given the premium nature of Apple's offerings. Conversely, the rumors of a stripped down MacBook Air prompted Tom Warren of The Verge to speculate that the new MacBook Air was likely designed to be cheaper, presumably in order to compete with Chromebooks and other cheap netbooks. Apple has indeed been shaving down the price of Macs across 2014, trimming the price of MacBook Air and Pro models, as well as introducing cheaper iMacs and Mac minis. Those lower prices have helped stoke a significant jump in demand. In Q3, Apple sold a record 5.5 million Macs, eclipsing the previous record of 4.9 million units set in Q3 2011. However, Macs are still nowhere near the cutthroat prices of cheap netbooks. 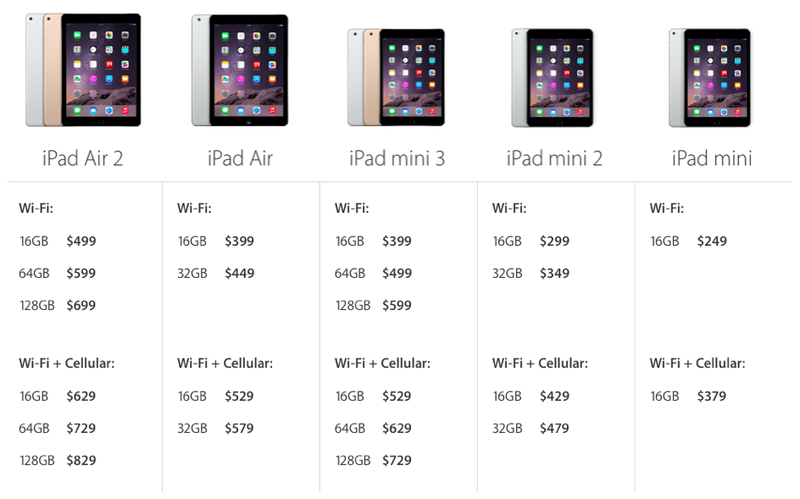 In that price range, Apple markets a range of iPads. Actually, the fact that Mac sales didn't set any records between 2011 and 2014 is likely attributable to iPad sales. Apple sold over 197.3 million iPads over the past three years, compared to 53.4 million Macs (that's nearly 3.7 times as many tablets as its conventional computers). Apple's focus on what consumers want has devoted a lot of attention on the company's iOS-based tablet models--at prices ranging from $250 to $829, it's easier to sell iPads than Macs, which (apart from the $499 Mac mini) range from $899 to north of $3,000. Instead, Apple appears most likely to enhance the MacBook Air the same way it recently enhanced its iPad Air 2: with a lighter, thinner and even more battery efficient design. To make today's MacBook Air lighter and thinner, Apple needs to address the fact that the current model's ports are all relatively large. Apple also has a lot of real-world data on how buyers use their Macs, and what features and qualities actually attract consumers, trigger purchases, and leave them satisfied with their purchase. There are some real tradeoffs in getting rid of today's MagSafe, dual USB ports, SD Card slot and Thunderbolt. However, as brisk sales of iPads have demonstrated, most buyers care more about price and utility (including mobility) than they do about hooking a light, thin mobile device up to a RAID array, an external HD display or even multiple USB peripherals. With AirPrint, AirPlay, AirDrop, Bluetooth, iCloud and other wireless networking features, wired ports are becoming less and less necessary, particularly as 802.11ac WiFi wireless speeds begin to compete with USB cables. WiFi is currently no match for Thunderbolt in either displays or for connectivity with external high speed devices. However, Apple and Intel have worked together to develop both Thunderbolt and the latest USB 3.1 specification. 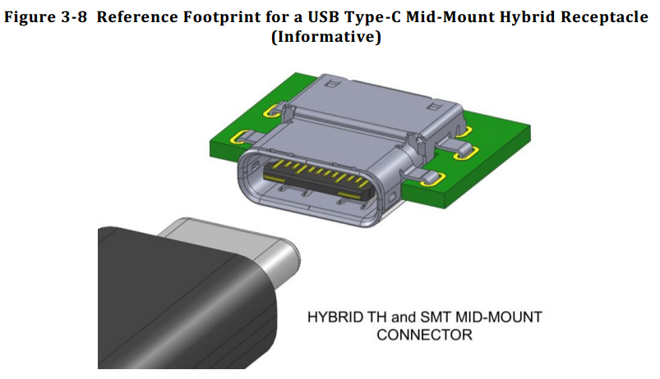 Details in the latest USB spec indicate that Apple does indeed plan to use the new, smaller Type-C port to replace other ports, reaping exterior space and internal volume savings and reducing confusion for users. Part of what makes that possible is that USB 3.1 is designed to support much faster data speeds than existing USB (while remaining backwardly compatible with existing devices): starting at 5Gbps (Gen1) and eventually reaching 10Gbps (Gen2). That's achieved over 8 conductors via faster clock timing and more efficient data signaling. The spec itself describes the point of creating a new adaptor. It notes the "trend toward smaller, thinner and lighter form-factors," and states that "newer platforms and devices are reaching a point where existing USB receptacles and plugs are inhibiting innovation, especially given the relatively large size and internal volume constraints of the Standard-A and Standard-B versions of USB connectors." Unlike previous USB cables, "the mechanical characteristics of the USB Type-C receptacle and plug do not inherently establish the relationship of USB host and device ports." That means the new port can be used to connect two supported hosts for networking, rather than being port specific to only connect a dedicated peripheral (such as a printer) to a host system (such as a PC). USB 3.1 Type-C also supports "USB alternative modes," which essentially enable a different, non-USB signal to be sent over the same physical port. This will explicitly support up to four lanes of DisplayPort (including 1.3 HBR signaling for up to 32.4Gbps of bandwidth), as well as providing compatibility with standard HDMI, VGA and DVI signals. 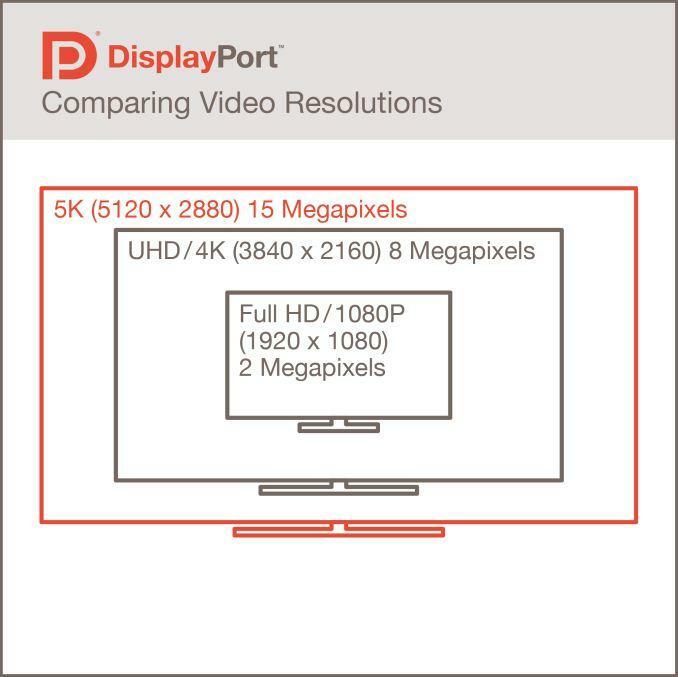 As a report by Ryan Smith of AnandTech noted back in September, DisplayPort 1.3 HBR3 has the bandwidth to support a 5K display at 60Hz with 24bit uncompressed color. That's something today's Thunderbolt can't yet do. Apple introduced mini DisplayPort back in 2008; USB 3.1 Type-C effectively merges the port with USB signals the same way that Thunderbolt combined fast PCIe data with DisplayPort signals, essentially making Type-C a "Thunderbolt light" well suited for lower end, highly mobile devices like MacBook Air. Additionally, USB 3.1 Type-C also supports the new "USB Power Delivery 2.0 specification," which allows a host to deliver far more power than today's USB; even more power than Thunderbolt. The new spec not only allows the new jack to provide power to, for example, a hard drive without requiring a separate transformer and power cable to the device, but also enables the port to be used to power the device itself. This was also first detailed last fall. Being able to deliver a maximum of 100w (compared to the 10-12w chargers that power today's iPad) could make USB 3.1 Type-C a suitable alternative to standalone MacBook style power adapters. However, unless Apple provides a MagSafe link somewhere between the new jack and its power adapter, users would lose the easy-to-disconnect feature. This would make charging the new MacBook Air more similar to charging an iPad or other iOS device) via Apple's Lightning connector (which like USB 3.1 Type-C has a reversible, blade style connector without a MagSafe-style connection). While iPads are designed to be used without a power cord, Apple's MacBooks perform significantly better when they are plugged in; operating off the battery triggers low power modes where the system scales back performance for efficiency. A new MacBook Air could feature advanced power management that enables it to perform acceptably when used like an iPad, reducing the disadvantage of shedding MagSafe. While it might seem that loading DisplayPort, USB, fast data and power all on one port would negatively complicate usability and introduce a lot of new limitations, the benefit of the smaller port and its expanded features could indeed make it an effective way to differentiate a mobile-oriented new MacBook Air from higher end MacBook Pros featuring more ports and the faster throughput and convenience of having standalone Ethernet, Thunderbolt and USB interfaces.